H. P. Lovecraft's work stands as foundational for generations of writers. His continued influence is everywhere: in movies, television, and role-paying games. 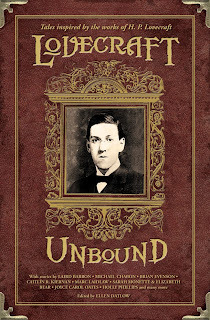 Search “Lovecraft” on Google or Amazon and be bombarded by free homage websites and numerous collections of his tales, as well as collections featuring contemporary stories inspired by his legacy. “The Crevasse”, by Dale Bailey and Nathan Ballingrud, in which a doomed expeditionary team discovers something ominous and unearthly deep beneath the icy Antarctic wastes. “Sincerely, Petrified” by Anna Tambour is a tale in which two academics discover the risks of tampering with the power of myth-making. In “The Din of Celestial Birds” by Brian Evenson, a man stumbles down a mountainside with no memory of what's happened to him, and a strange skin aliment, and the certainty that something inside him is clawing its way to the surface. “Come Lurk With Me and Be My Love” and “In the Black Mill”, by William Browning Spencer and Michael Chabon, respectively, are absolutely hilarious, tongue-in-cheek pastiches of Lovecraft that are extremely well written; the first about a doomed suitor who meets the “wrong kind of girl”, the second featuring the classic, doomed Lovecraftian scholar whose curiosity outweighs his survival instinct. On the other side of the spectrum, “Houses Under the Sea”, by Caitlin R. Kiernan is a chilling story that invokes all the watery terror that Lovecraft inspired in “Dagon” and Shadows Over Innsmouth”, without ever mentioning either tale. 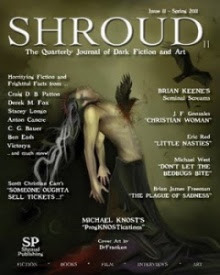 Finally, among the best are “Sight Unseen” by Joel Lane and “Catching Hell” by Laird Barron, because they feature two “Lovecraftian” deities/beings that don't often see treatment, and the anthology's ending story, “That Of Which We Speak When We Speak of the Unspeakable”, by Nick Mamatas, which manages to inject Lovecraft with a bit of Raymond Carver, or mix Lovecraft into Raymond Carver, whichever describes it best. Wondering what to get for the shoggoth who has everything? Look no further. Buy it today.